I entered Canada and Alaska with a slight caution for bears – as most people would. I didn’t want to be the person that made it onto the news for stumbling into a Grizzly Bear and facing the deadly consequences. Thankfully I didn’t make it into any news press and I left North America without a scratch on my body. Unfortunately there are many who have had these encounters, and well… I guess they aren’t the most pleasant of memories. So without further ado, here are a few bear attack stories told by some of the locals in North America. The first thing we were told when wanting to hike around the Canadian Rockies, was to always bring bear spray. It’s basically a necessity for any hiker, no matter the season. It’s recommended to always be in a place that is easy and instantly accessible at any time; connected to your belt, in your pocket etc. Well, a man was mountain biking in the Rockies and was on the descent; winding through the dense forest on the narrow paths, when he hit a grizzly bear. The bear was instantly furious and attacked the man without any hesitation. Thankfully, this man had his bear spray on the outside of the backpack. The grizzly pushed the man to the ground and bit straight into his backpack, activating the bear spray into his mouth and instantly fleeing the scene. This mans silly mistake, actually saved his life. Two kids were fly fishing in Jasper National Park. Whilst trying to un-do a freshly caught fish, they looked up to see a black bear, growling, bluffing and very angry. The kids, being young and naive, were unsure of what to do and began to throw rocks at the bear; making him even more aggressive. His bluff charges were no longer a joke. 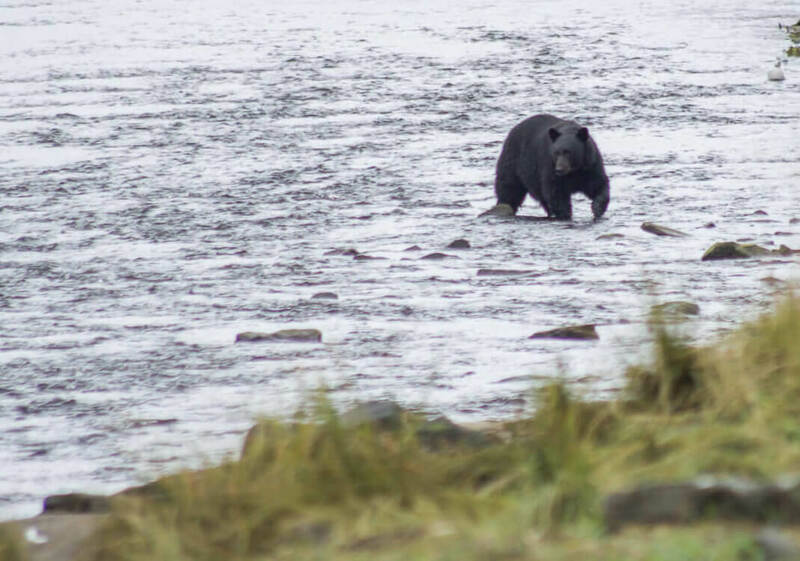 The two kids split up, but the 12-year-old boy, David, began to run towards a beaver dam, looking back over his shoulder to see that the bear was still following. David had nowhere else to run, so the dam was the only option. 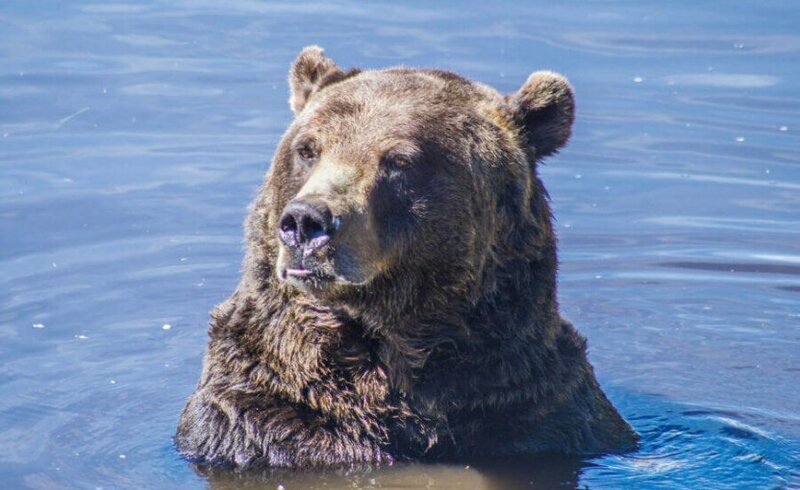 He leapt into the water and began to swim to the other side, but quickly realised the bear was swimming on his tail. The bear jumped on him, pushing him to the bottom before ‘going to town’ on his head. At this point the young boy was sure he was going to die, so he gave one last fight. Reaching behind his head and sticking his fingers in the bear’s nostrils, he pulled as hard as he could and the bear set him free. 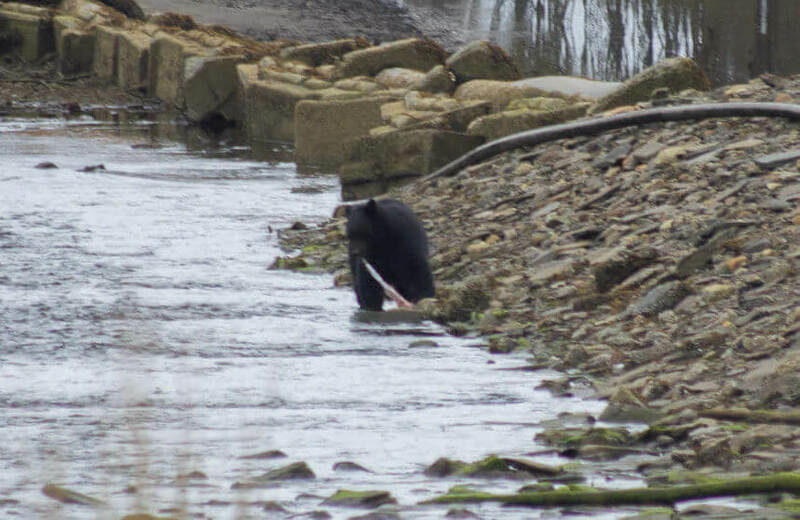 He made it out of the water with the bear still following, but miraculously the bear had had enough. The boy thanked his father for saving his life, as he had always taught him; Grizzly bear – play dead, Black Bear – fight back. A lucky lucky escape, but still with 30 stitches to his wounded head. This one is short but sweet. A man was hiking at Mt. Wilson, near Banff in the Canadian Rockies, on his way to rock climb in the middle of winter. Trudging through the snow he accidentally stood on a bear den, where a grizzly was peacefully hibernating. A grizzly bears heart rate during hibernation is higher than other bears, so it didn’t take much to startle him and immediately react. The unfortunate rock climber was chased through the snow and the bear latched on to his leg, crunching right into his shin. The man forcefully pried open the bear’s mouth and freed himself from the jaw. The bear thankfully didn’t charge again and the 2 men made their way 3 hours down the mountain and to the nearest hospital. Like they always say, don’t wake a sleeping bear. 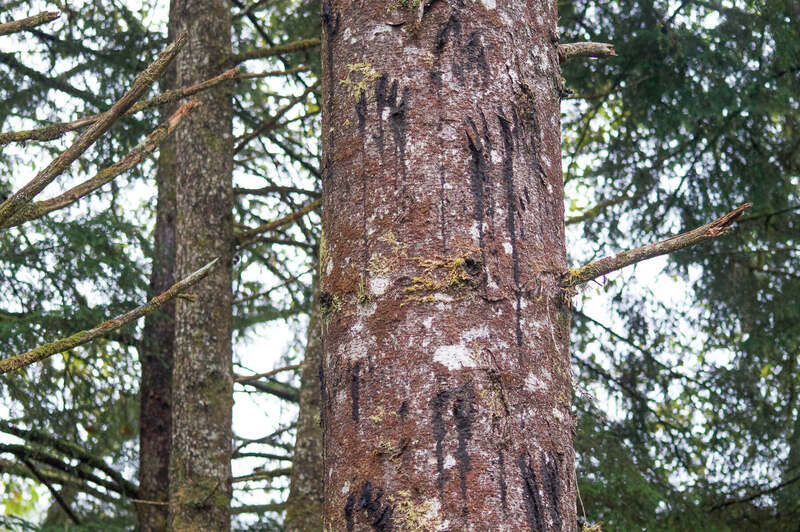 2 wilderness guides were guiding a group of 22 people in Sitka, south-east Alaska. A female leader was at the front of the group, with a male leader at the back. The group came around a blind corner, 2 1/2 miles down the trail to a brown bear mother and cub. If you have been to North America, you would know that startling any mother bear with a cub is bad news. Unfortunately, that’s exactly what happened to this group. The Sow was instantly startled and protecting her child with aggression. The female leader was mauled first and for an unapparent reason was not carrying bear spray. The male leader at the back of the group ran to the front and sprayed the bear with his bear spraying, freeing the trapped woman. The bear, still very aggressive, attacked the male guide as well; leaving the group in fear. 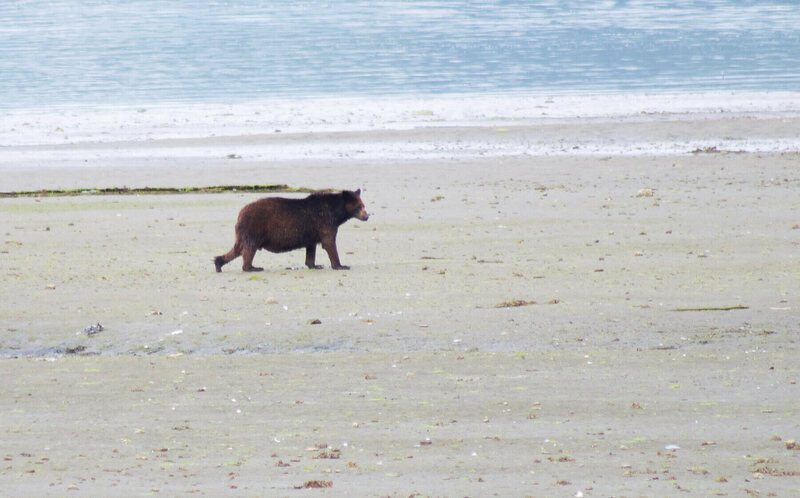 Thankfully after the second attack, the mother bear and her cub ran away and left the frightened tourists on the trail. They were rescued and transported by helicopter to the nearest hospital. The woman’s injuries were much more severe, leaving her in intensive care with non-life threatening injuries. The man also had intense injuries and severe lacerations, but both were thankfully aye-okay! As scary as these may seem, don’t let these stories scare you. They are the only stories told to us by the many people I encountered in North America. Bear attacks are surprisingly no way near as frequent as you may think. Elk and moose attacks are much more common and are the ones to be cautious of. Are bears really dangerous? Sure they are, but hey.. they’re probably just as scared of you as you are of them! Have you got any other bear attack stories to add to this list? They are scary huh? I highly recommend bear spray whenever you’re in their territory… It could easily save your life!